I was in Limerick this morning to buy Advent candles for the four churches in the group of parishes, and to buy some theological books. 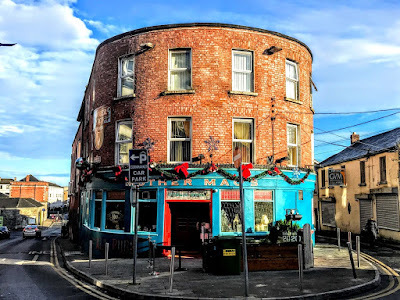 In a short gap before catching the bus back to Limerick, I wandered through the streets of the city and found myself at the Round House, at the corner of Denmark Street and High Street, where High Street splits in direction – High Street and Back Lane. The Round House, which was built just outside the walls of Irishtown, is a landmark building because of its location and because of its curved brick façade. This pub forms an island junction at High Street and Back Lane, and provides an interesting vista along High Street. The date when it was built is uncertain, but it was probably built in the 1780s as it appears on a map in the 1787 edition of James Ferrar’s History of Limerick. This is a terraced, nine-bay, three-storey building, with a curved bay wrapping around the two streets. The replacement curved hipped artificial slate roof is set behind a curved parapet. The red brick faced façade is laid in Flemish garden wall bond, and there are red brick arches above the window openings. There is a curved timber shopfront at the ground floor level with cast-iron cresting above a curved fascia board. Raised and fielded timber door open into the public house, with an overlight above. The cast-iron cresting which has been retained adds an artistic detail to an otherwise altered façade. This is an iconic Limerick building. 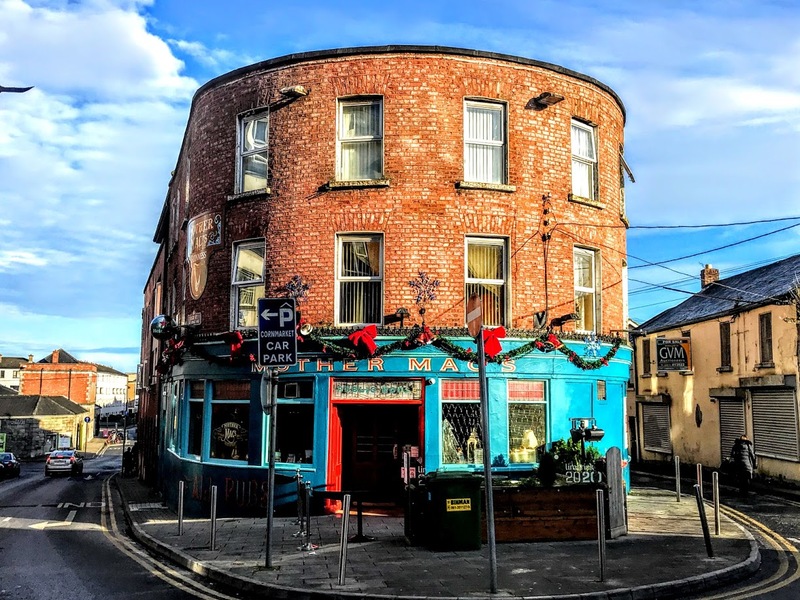 Since it was acquired by Michael McMahon in 2015 it has been known as Mother Mac’s, but it is still known locally and affectionately as the Round House. The distinctive signage of Mother Mac’s seen today is the work of the local and internationally renowned sign writer Tom Collins. This has given the pub a new look and helped Mother Macs win the Overall Tidy Towns Award last year . Kate Fleming O’Malley (1820-1901) the matriarch in the family associated with the Round House for generation, came from a small cottage in Madaboy, Murroe, in Famine-struck rural Co Limerick. Kate sent her son Thomas from Murroe to Limerick City to work in the Round House. After two years, the elderly proprietor left the business to Thomas O’Malley in his will in 1871. Thomas died young, but the Round House stayed in Kate’s family. Kate O’Malley held on to the Round House, making it a successful pub, grocery and spirit business in Limerick. Through strategic decisions, she transformed her family’s fortunes, ensuring the education of her large family of 12 children and securing their place in the social and political life of Limerick. Her four daughters became nuns, but the rest of her family and her descendants included three Irish government ministers Donough, Des and Tim O’Malley; two Mayors of Limerick, Dessie and Michael B O’Malley; and two other Limerick Corporation members, Patrick O’Malley and his son Charlie. Kate’s granddaughter, Dr Pamela O’Malley, moved to Barcelona in 1952, and was imprisoned twice in Spain by Franco’s regime. Her husband, Gainor Crist, an American who had studied in Ireland, was the model for the protagonist of JP Donleavy’s novel The Ginger Man. They married in Gibraltar and made their final home in Madrid, where she was a teacher in the British School. The general who sentenced Pamela also told the school to reinstate her once she got out: ‘She is the best teacher my daughters have ever had.’ After the restoration of democracy, the same general was murdered by the Basque terrorist group ETA. Pamela attended his funeral, and comforted his widow. She returned to Ireland frequently, visiting many friends in Dublin and Limerick, and spending holidays every summer on Achill Island, where I met her, and taking part in the Merriman Summer School and the Kate O’Brien Weekend. Gainor died in 1964, and Pamela died in 2006. Kate’s family also included rubber planters in Malaya, an unlikely sheepshearer swagman in New Zealand, and a branch of the family in the US. They became lawyers, doctors, writers, tramps, poets, priests and journalists – the late Peter O’Malley was a colleague in The Irish Times for many years. Grace O’Malley Cantillon, who completed her master’s degree in the history of art when she was 70, and became a guide in the Hunt Museum, tells the family story in her book The Round House O’Malleys – the Power of One Woman (2014). true inspiration for Toad Hall? One of my favourite childhood and Christmas-time books is The Wind in the Willows by Kenneth Milne, and I look forward to any of the cartoon versions that are scheduled for television channels at this time of the year. The book was first published in 1908, and despite its place in children’s fiction it is also appropriate reading at Christmas, not only because of its many winter settings, but also because of the themes of mysticism, morality and camaraderie that run through its storylines. This is not accidental, for Kenneth Grahame (1859-1932) was introduced to the riverside and boating by his uncle, Canon David Ingles, who was then the curate at Cookham Dean in Berkshire and who had rowed for Cambridge in 1860. He would often take his sister’s children out on the ponds and the river, telling them stories as they explored the waterways. Cookham was also the home of the artist Stanley Spencer (1891-1959), who often used Cookham and the river as the backdrop to his religious paintings. But The Wind in the Willows is also a hymn to a long-lost England that may never have existed. It was an England that Edwardian society wistfully hoped could be conjured up but that could never be returned to, and it is an England conjured up by the Brexiteers but, ironically, is being destroyed by them. 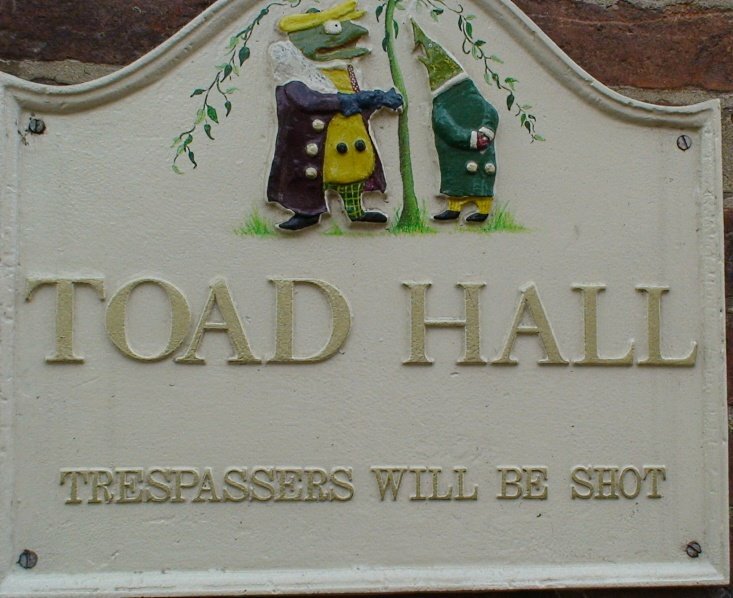 Sometimes as I travel through the Staffordshire countryside beyond Lichfield, I have noticed a house called Toad Hall on Bagot Street in Abbots Bromley, about 19 km north of Lichfield. This Toad Hall is period village home with beamed rooms and a witty name plate outside. It is a long-established bed and breakfast house, and was recently on the market through John German, estate agents in Lichfield and Burton on Trent, with an asking price of £475,000. But since my childhood I have wondered about the original house that inspired Toad Hall in The Wind in the Willows. 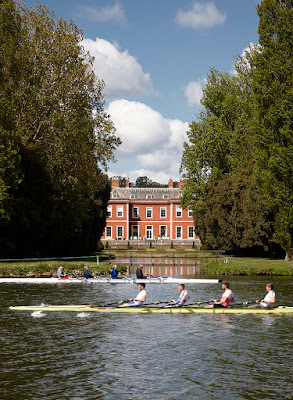 Grahame is said to have been inspired by the River Thames at Cookham, where he lived at ‘The Mount’ as a child, and he returned to the village to write the book. Quarry Wood nearby in Bisham is said to have been the original Wild Wood. 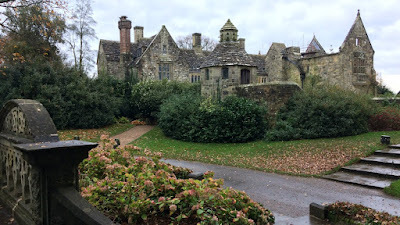 But a number of houses claim to be the original inspiration for Ernest Howard (EH) Shepard’s illustrations of Toad Hall, including Mapledurham House in Oxfordshire, as well as neighbouring Hardwick House, Foxwarren Park in Surrey, Fawley Court in Buckinghamshire, Nymans in West Sussex and Fowey Hall Hotel in Cornwall. Mapledurham House was built ca 1585 in the Elizabethan E-shape, and a later 18th-century chapel was built in the Strawberry Hill Gothic style for its Roman Catholic owners, the Blount family. Like the Moat House in Tamworth, the house has priest holes, used to hide Catholic priests in the 16th and 17th centuries. The house was a location for the filming The Eagle Has Landed (1976) and for several television series, including Midsomer Murders. 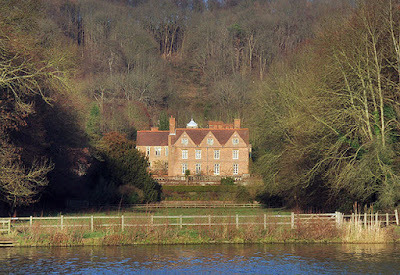 Hardwick House, a nearby Tudor-style house on the banks of the River Thames, near Whitchurch-on-Thames, also claims to be the inspiration for EH Shepard’s illustrations of Toad Hall. The Liberal politician and horse breeder Sir Charles Day Rose (1847-1913), who bought Hardwick House shortly before he was given the title of baronet in 1909, is also said to have been one of the models for Toad of Toad Hall. Foxwarren Park, at Wisley in Surrey, is a Victorian country house designed in 1860 by the railway architect Frederick Barnes for the brewer and Liberal politician, Charles Buxton (1823-1871). It is a stark Neo-Gothic house, with polychrome brickwork, red with blue diapering, and terracotta dressings, and renewed plain-tiled roofs with crow-stepped gables. It has been the location for films and TV series, including The Adventures of Robin Hood. Fawley Court is a country house on the west bank of the River Thames at Fawley in Buckinghamshire, near Henley-on-Thames. 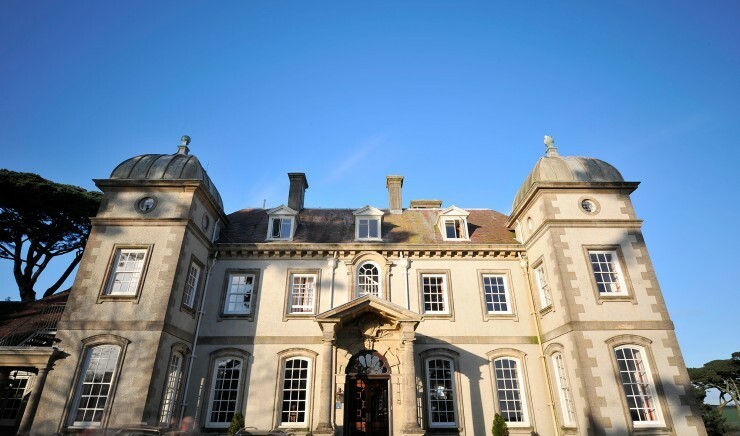 The story of Fawley Court dates back to the Domesday Book. The house was completely rebuilt by Christopher Wren for William Freeman in 1684, and was redesigned by James Wyatt and his brother Samuel Wyatt, from Weeford near Lichfield, in the 1760s and 1770s. After World War II, Fawley Court, was acquired run by Polish Congregation of Marian Fathers, who ran a library, museum, school and Polish cultural centre from the house. The house was severely damaged by fire in 1973, the school closed in 1986, and the house became a retreat centre. It was finally closed and sold in 2009 to Aida Hersham, an Iranian heiress, reportedly for £13 million. Nymans in West Sussex, owned by the National Trust, also claims to be the inspiration for Toad Hall. The gallery at the rear of the house has hosted a collection of Wind in the Willows pictures, including a few of EH Shepard’s original pencil-drawn sketches for the book and others that were hand-coloured by the artist. 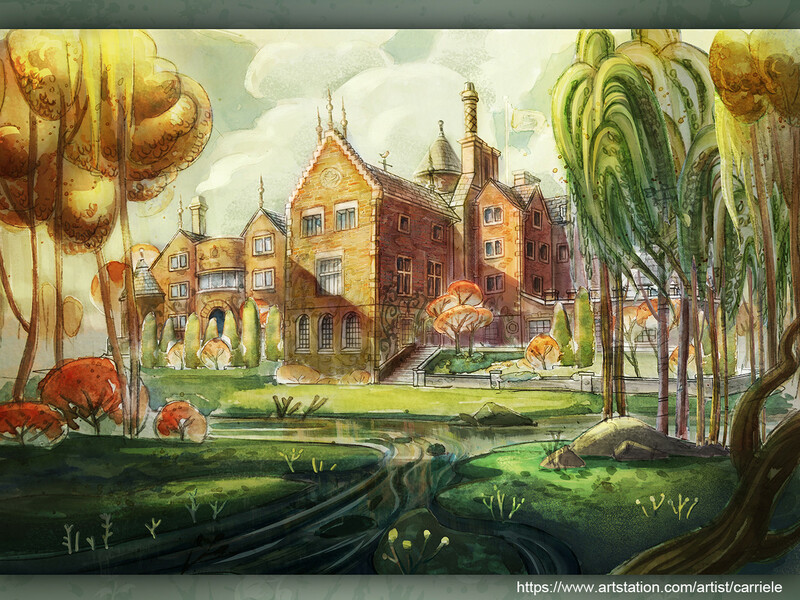 The exhibits included a pencil drawing of Nymans that Shepard did during a visit there, and it is suggested that Toad Hall may have been based partly on the Nymans House. The house was built by Sir Charles Augustin Hanson (1846-1922), who made his fortune in the lumber trade in Canada. When he returned to England, he built this house on a plot of land bought from the Rashleigh family, owners of Daphne du Maurier’s Menabilly. Hanson was Conservative MP for Bodmin (1916-1922) and Lord Mayor of London in 1917. Fowey Hall was sold in the late 1950s, and became an hotel in 1968. The ground floor remains largely in its original layout, with the library, morning, drawing and billiard rooms and the dining area returned to their original uses. Kenneth Grahame was a first cousin was Sir Anthony Hope Hawkins (1863-1933), a son of the Revd Edwards Comerford Hawkins (1827-1906), Vicar of Saint Bride’s in Fleet Street, London. As Anthony Hope, he was the author of another early 20th century Edwardian fantasy, The Prisoner of Zenda, and they were cousins too of the Irish rugby superstar and war hero Basil Maclear (1881-1915). I should like to think – but would be totally wrong – to suggest, with these Comerford family connections, that Grahame’s Toad Hall was inspired by the Moat House on Lichfield Street in Tamworth. The former Comberford Tudor-era manor house certainly would have been an ideal choice over 100 years ago, before its sylvan setting gave way to the urban needs of an expanding Tamworth. 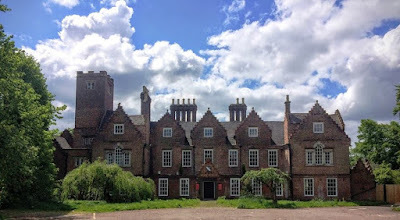 When I visit the Moat House, with its riverside setting – by the River Tame rather than the River Thames – and surrounded by willows, it often reminds me when I visit it of childhood images of Toad Hall. Kenneth Grahame died in Pangbourne, Berkshire, in 1932, and is buried in Holywell Cemetery, Oxford.